The I.B.M. is the world’s largest organization of the magical arts! Ring 41 was founded in 1945, and our goal is to advance the art of professional magic through instruction and to up-hold the terms of our Charter. Welcome aboard! In 2015, we voted to rename our Ring in honor of our beloved member, Dr. Richard Mossey. 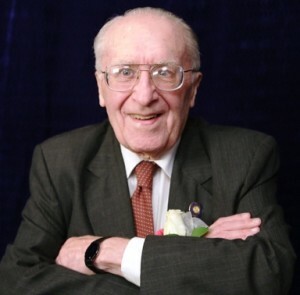 Dr. Mossey is one of the original founders, and still active member of our group who attends monthly meetings! 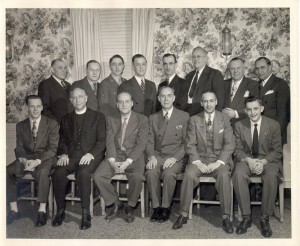 Below is a picture of the founding members in 1945. Dr Richard Mossey is 3rd from the left in the back row. This is Dr Richard Mossey on the cover of the October 2015 Linking Ring Magazine.